Facebook is perfect for real estate agents. Facebook’s targeting features allow real estate agents to show their Ads to only their perfect prospects. Wow! Now that is targeting on another level. This targeting is precisely what an agent needs to find people who have an expanding family need a new house. 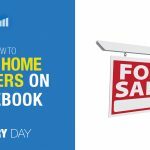 Facebook also has a category that allows agents to show their ads to people who are likely to sell their home soon. Facebook buys this data from companies like the Acxiom and Quantium. This category is compelling for agents to ensure they are presenting their message to the right people at the right time. 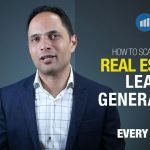 Real estate agents can import a list of their prospects from their database and Facebook will match those people to people on the Facebook platform. There is a match 70% of the time, and Facebook puts those who match into a list that agents can show ads to. This is a great way of keeping your agency top of mind when there is an active prospect in your database. Facebook allows agents to show ads to anyone who has visited their agency website. Facebook goes one step further, and lets agents show specific ads to people who have visited specific pages. So if someone visits a page for a three bedroom home in a specific suburb, the agent can show ads to that person of other three bedroom homes in the same suburb. The options here are endless if you use a little creativity. 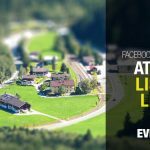 Facebook targeting is a great tool for real estate agents. Agents can show their ads to people depending on the stage they are in the sales cycle. There is no more cost-effective way to reach your audience than find prospects on Facebook ads.